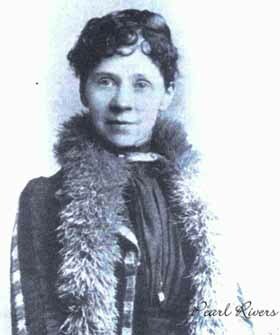 Eliza J Nicholson, known by a pseudonym, ‘Pearl Rivers,’ was one of the first women to be involved in journalism and run a successful, political paper. Eliza’s husband gifted Eliza the paper titled, ‘The Picayune,’ after his death and through her knowledge of journalism and writing; Eliza not only managed the newspaper but through hard work, turned it into a success. During the lifetime of her husband the paper had struggled, but under the control of Eliza it flourished and became an American household name. Eliza was a country girl who dreamed big. During childhood play she was constantly using her imagination and due to being an only child she often had to make her own entertainment. These childhood adventures were the sources for her first poetry, which was considered good enough to publish in journals and newspapers of the time period. The editor of ‘The Picayune,’ invited her to become a literary editor of the paper, a rare accomplishment for a woman of the time period. Reigns on the throne instead. Now in regal state she lies. Lies beside her, dead and cold. Still a teardrop in her eye. Royal honors to her pay. With the costly myrrh of song. She her holy mantle threw. She has left a broken heart. Hear their slow and weary tread. Always good to hear about female pioneers!